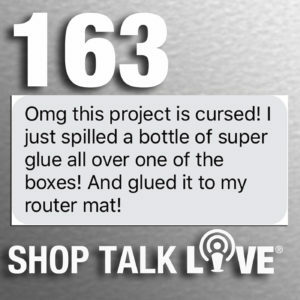 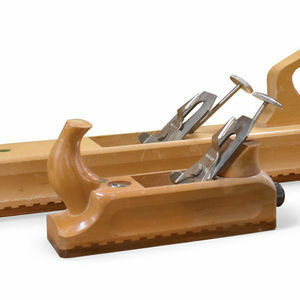 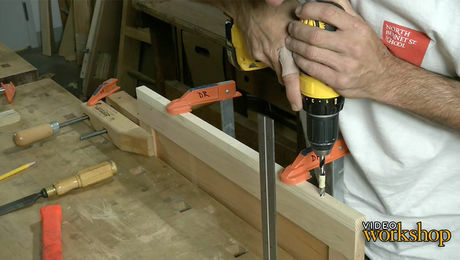 Adding hardware is often one of the trickier parts of a project, and this toolbox is no exception. 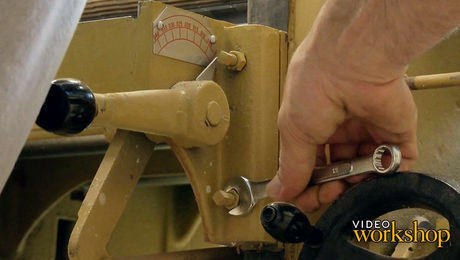 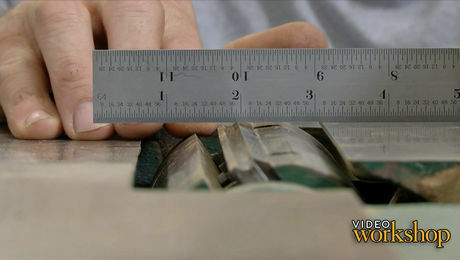 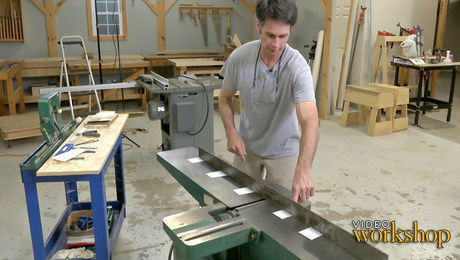 In this video, Matt installs the door pins and lock in a way that ensures perfect alignment of the door. 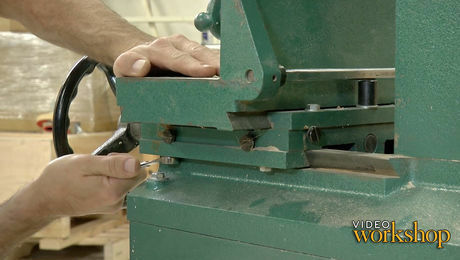 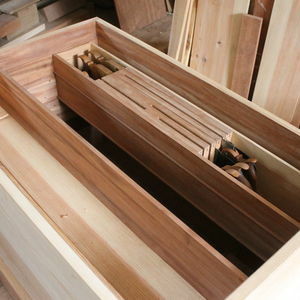 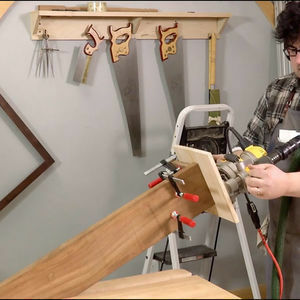 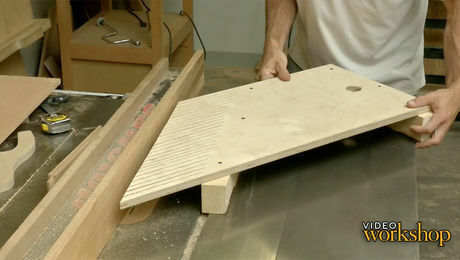 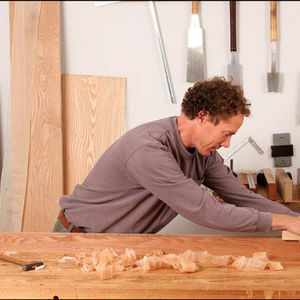 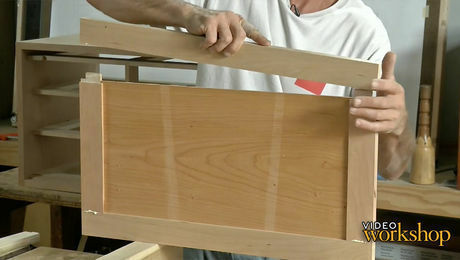 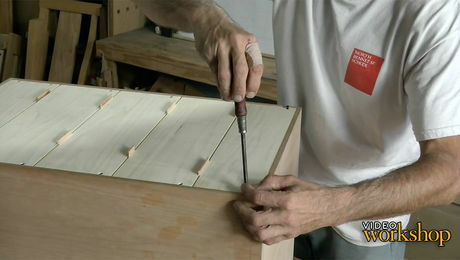 Matt finishes up the door, cleaning up the bevels, finishing the panel, mortising for the lock, and finally gluing up. 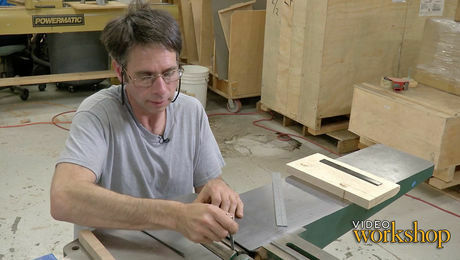 Work continues in the machine room making the raised panel, with a clever tablesaw jig that not only maintains accuracy, but safety as well.